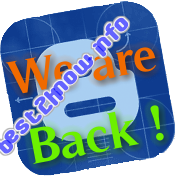 Now the main Point : We are Back ! We are not only back with the blog but now we are back with changes that we are using wordpress instead of blogger. Why to wordpress and Left blogger ?